Penneshaw Markets: 1st Sunday of every month October to April, with additional markets on Easter Sunday and for cruise ship visits. 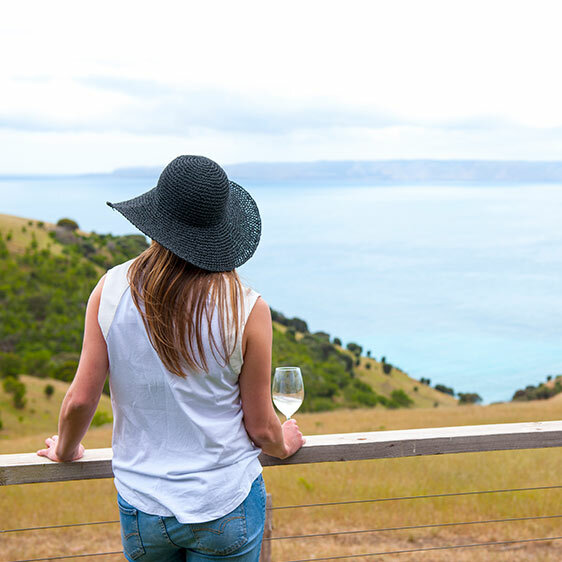 To see more great events see the official Tourism Kangaroo Island events calendar. Time: *General Penneshaw Market Days 9am - 1pm. ^Cruise Ship Visit Days 9am - 2pm. Sample and purchase a range of fresh local products from the very people who grow, farm or make it. Breakfast, coffee and a great village atmosphere are all on offer with the Kangaroo Island Farmer’s Market and Kangaroo Island Community Markets who come together to bring you a great local village market atmosphere. Stay for the day and enjoy lunch at one of Penneshaw’s cafes or the Penneshaw Hotel. Laze on the beach, go fishing or take some of the great walking trails around Penneshaw. Book a Special Farmers Market Ferry Fare from $43 per adult return! Head over to Dudley Wines for their Sunday Vibes on the first Sunday of each month. Enjoy the spectacular view over the Dudley Penninsula, soak up the live music on the deck and have a hit of golf at their one tee driving range. You'll also be able to try their selection of boutique wines and wood oven pizza. This is a great day out for the whole family. Bookings recommended. 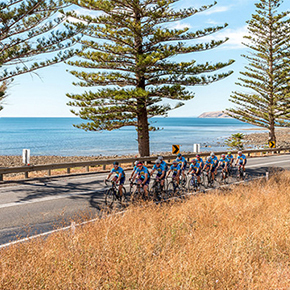 This ride marks the 3rd annual tour supporting cancer projects in South Australia and sees the tour visiting the pristine wilderness of Kangaroo Island, for Tour de Cure's first time. With native bushland, wildlife and white beaches, 150 cyclists will travel over 300kms in 3 days, experiencing some wonderful communities and a challenging ride. Riders will visit primary schools where they will share Tour de Cures ‘Be Fit, Be Healthy, Be Happy’ cancer prevention message with kids in the region. SeaLink is proud to be the Diamond Sponsor for this event. If you're searching for an adventure then the Kangaroo Island Marathon is for you! Set in the Flinders Chase National Park, the Kangaroo Island Marathon is a destination marathon that showcases one of Australia’s best kept secrets. This is a premium running experience available to a maximum of 500 runners each year and attracts runners from around the globe. The course route is located in the remote south-west corner of Flinders Chase National Park, starting and finishing at the Visitor's Centre. Be inspired by deviating and undulating roads that cut through dense forest, an exposed coastal section with views of the powerful Southern Ocean, a loop that travels by historic landmarks such as Cape de Couedic Lighthouse and Admirals Arch, and a zig-zag boardwalk leading to the iconic Remarkable Rocks. For more information visit the Kangaroo Island Marathon website. 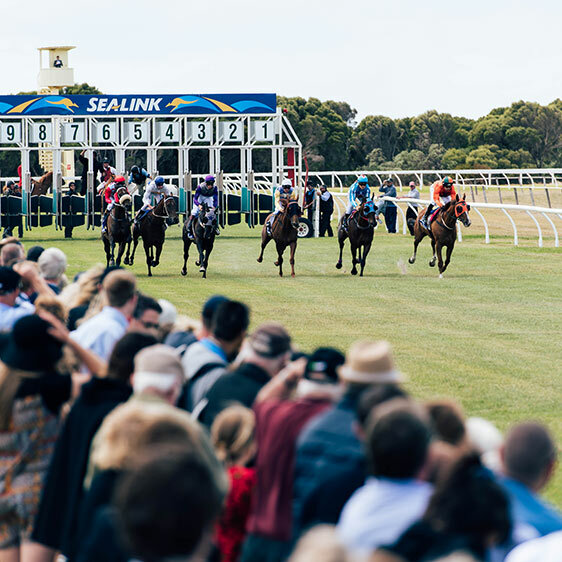 Kangaroo Island comes alive over the SeaLink Kangaroo Island Cup Carnival weekend held at the beautiful Cygnet River Race Course. The KI Cup transforms this country racecourse with trackside marquees, colour, fashion and a party atmosphere! More and more people are making a long weekend of it and enjoying the carnival atmosphere of the SeaLink KI Cup. Find out more and enquire about packages and transfers.